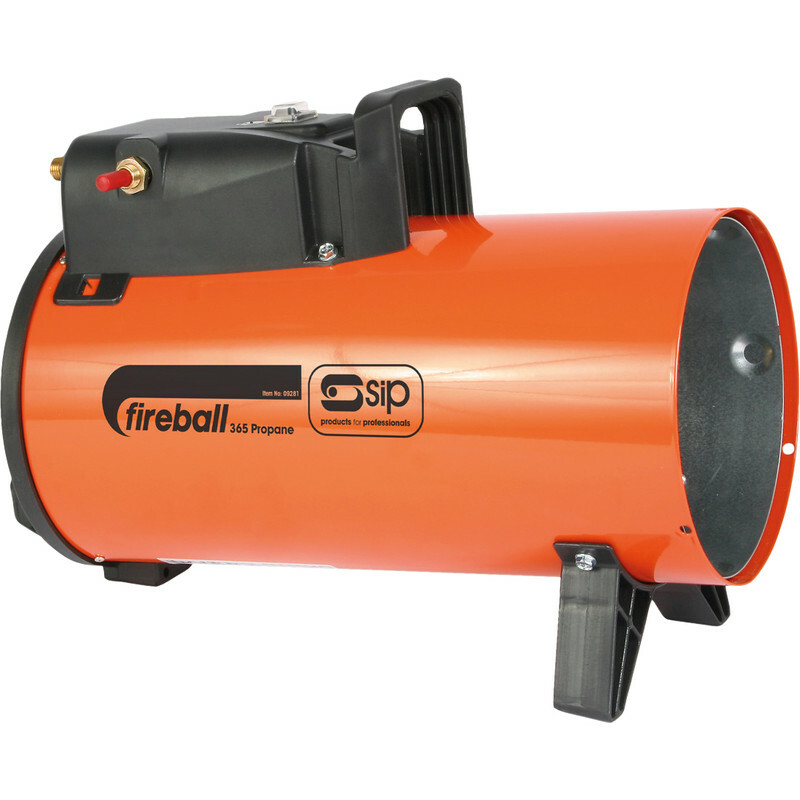 SIP Fireball 230V Propane Heater 36,500Btu is rated 4.3 out of 5 by 3. Rated 4 out of 5 by Susie J from Works Well, but greedy! Bought to keep me warm in the (small) workshop, worked really well, could increase temperature of room about 10 degrees in about 30 minutes. Had to keep the doors open as its very gassy, but it still maintained the temperature, but very very greedy on propane. Rated 4 out of 5 by Jabberwock from Buy One They Are Good I bought this heatera short while ago, I am delighted with it, it warms up my workshop in quick time, makes life a lot nicer here in winter time. The machine is compact and quite economical, only thing I can complain about is that is is quite noisey. Still it makes up for the noise with it's efficiency.